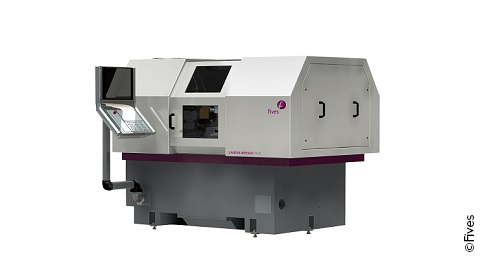 This high-precision grinding technology incorporates a modular multi-surface grinder with extended flexibility to grind most complex components for fuel systems, valve and drive trains, bearings, aerospace and medical applications. The Landis-Bryant RU2 Fuel MGMT grinder was specifically designed for the challenging requirements of fuel system components that require tight control over related features during grinding operations through a single handling. It employs a dual-slide arrangement in Z that can accommodate up to 6 grinding spindles. The Fives booth at IMTS (N-7018), will demonstrate the 4-spindle model with a coolant through 90,000 rpm, ID spindle and multiple dressing options.